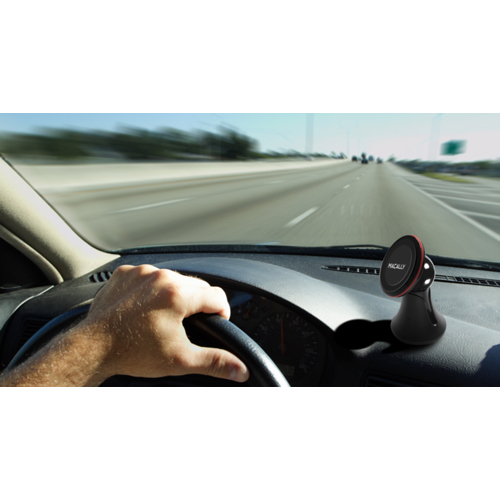 The Macally MDASHMAG2 is a compact car dashboard mount with a magnetic holder for iPhone/smartphone that doesn’t obstruct your view while you drive. 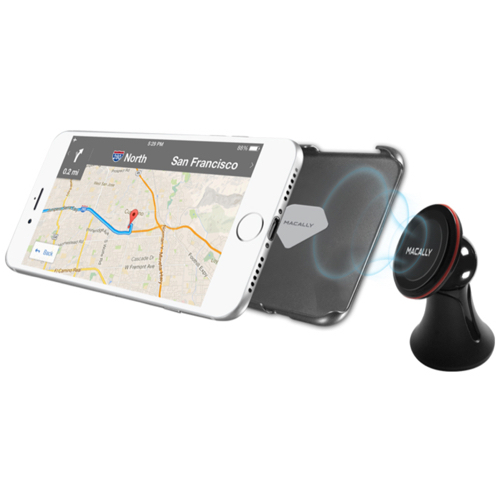 It mounts securely on your dashboard and allows you to do hands-free phone calls and use your iPhone/smartphone as a navigator. 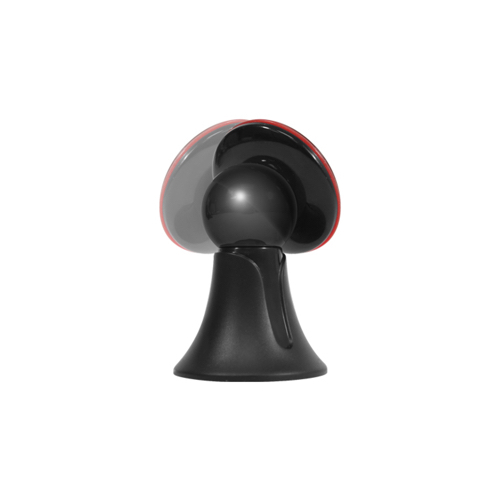 The holder has a 100% safe* and 50% more powerful Neodymium magnet and holds securely any size iPhone/smartphone, also while in a protective case. Drive safe with the Macally MDASHMAG2! ***Available in limited territories only.